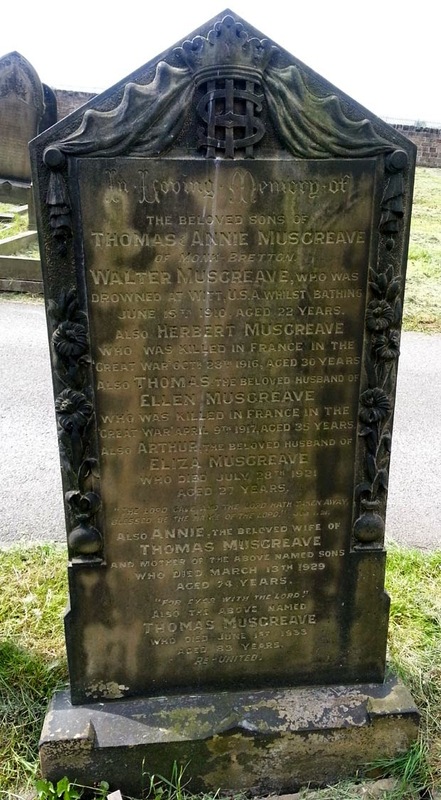 Herbert is also remembered on the following memorials as Musgrave. Herbert is remembered on the Thiepval Memorial in France and commemorated on the Commonwealth War Graves Commission website. Thomas is buried in the Lapugnoy Military Cemetery in France and commemorated on the Commonwealth War Graves Commission website.